Louis Pasteur is the father, and in some senses the godfather, of modern germ theory. His belief that the invasive presence of a single micro-organism lay at the causative origin of all infectious disease process rapidly became the ruling dogma in allopathic medicine, and was the philosophical and ontological underpinning for the systemic administration of anti-biotic, and later, anti-viral therapies, not to mention anti-fungal and anti-protozoal medications, indeed all manner of anti-bacterial agents - even anti-bacterial soaps – and last, but not least, anti-inflammatories. The germ was the villain of the piece, and the message was simple: kill the germ. Any physician who deviated from this dogma found himself in a precarious position at odds with the institutional powers that be, much like a so-called heretic during the times of the Spanish Inquisition. In this recantation, Pasteur was referring to his contemporary Claude Bernard who, along with Antoine Beschamps had subscribed to an alternative view of disease causation, a view which to this day has been ridiculed and vilified by mainstream medicine, even though its conceptual forefather, Louis Pasteur, eventually espoused it. The theory of terrain refers to an original field pertaining to the individual which, when in balance, confers a state of health, and when out of balance confers a state of disease. In this view, the offending microbe is not the true disease causation, but merely an expression of the inherent imbalances in the terrain. 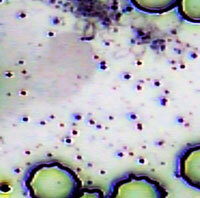 The microbe appears when and only if the terrain is disturbed from a homeostatic equilibrium. The French word terrain connotes the vigor of the natural earth (terre) as well as the particular regional characteristics of place (terroir). Thus, it evokes both the robustness of the natural realm itself and the highly diversified nature of topography – connotations wholly at odds with our prevailing attitudes of generic functioning and generic prescribing. In the terrain, individuality and vitality (disease resistance) are bound up together, complementary aspects of a unified dyad. Allied to the concept of terrain, which we will henceforth in this article refer to as the bio-terrain, is the concept of pleo-morphism. The archetypal recognition of metamorphosis is deeply embedded in the human psyche, and mostly likely takes root in the metamorphogenic nature of being and becoming. A fertilized ovum morphs from embryo through fetus into fully fledged human form. An acorn morphs into an oak tree, and vice versa. Clouds morph into rain, and summer into winter. The cyclic and mutagenic essence of things is encoded in myth, music and art, and above all, perhaps in the Chinese Classic Of Changes, the I Ching. This primary logic of change and mutation is the basis for the theory of pleomorphism, a concept introduced by Antoine Beschamps and later developed by Gunther Enderlein in Germany (1) and Gaston Naessens In Canada (2). A similar logic to that which underpins evolutionary theories of natural selection applies in pleomorphism, except that the movements are not linear but cyclical, and that morphic states can move in two directions, both forward and backward. In pleomorphism, instead of a micro-organism existing in a single, unchanging morphological state, microbes are understood to undergo radical morphological changes conditioned by alterations or fluctuations in the bio-terrain. Enderlein gave the appellation Protit to this smallest unit of microbial life, one capable of multiple morphic changes, whereas Naessens gave to it the name Somatid. In both cases, the shape can morph from a spore form into bacterial, globular, yeast or mycelial forms. The resistant mycelial form is considered to be the most noxious state of development in Naessens' somatidian cycle. Whether we call it protit or somatid, the mutagenic microorganism will mutate into a progressively more virulent form depending upon conditions within the internal milieu, or bio-terrain. Hence it becomes of utmost therapeutic importance, not so much to kill the microbe (the anti-biotic tactic unquestioningly used by allopathic physicians, and further extended to attack viruses, yeasts, fungi and cancer cells), but rather to adjust the internal milieu back towards a healthier state. If this is done, the virulent forms of the protit/somatid will automatically begin to regress back towards less noxious forms as they recoil, temporally speaking, towards their points of origin. It is tellingly ironic that conventional bio-medicine, which denies the reality of pleomorphism and prefers the illusion of a fixed-target enemy - the identifiable and static “germ” - has ended up generating a cascade of dangerous mutations in microbes as a result of its point-and-shoot approach. It is a well known and worrying fact that today, increasing numbers of bacterial diseases once treatable by antibiotics have recently developed drug resistance, some of these to the point where all known anti-biotics now fail to make any impact. The same is true of viruses, in particular, new variants of HIV 1. Aggressive anti-microbial treatments with harsh pharmaceutical cocktails have only succeeded in triggering the emergence of superbugs, whether bacterial, fungal or viral. It has been said that you can run anywhere, but you cannot run away from your own shadow. In psychological terms, the shadow is the split off part of our ego that we have disidentified with. Conventional medicine, by disidentifying with the mutagenic basis of microbial life-forms, and their direct correlation with modifications of internal milieu, or bio-terrain, has now cast a huge shadow over the entire earth, having spawned a slew of drug resistant microorganisms, always able to outsmart the big guns of an evangelizing pharmaceutical industry, and its pursuit of multi-trillion dollar returns. Resident bacteria perform two vital functions: 1) They help with the assimilation and metabolic synthesis of vital nutrients. 2) By occupational niches, they keep potentially harmful micro-organisms at bay. They even work synergistically with lymphocytes (white blood cells) in mysterious alliances to take out parasitic infections, and clear the body of toxins secreted by the corpses of dead parasites (4). It has even been determined, by a team of research scientists at George Washington Universty studying the human genome, that microbes outnumber our trillions of human cells by a factor of ten to one (5). The notion that the interior domain of the human body is intrinsically sterile flies in the face of overwhelming evidence, yet it is the prevailing dogma of allopathic medicine, and its modus operandi is always, as we have seen, to attempt to kill off the microbes. Yet microbes, the oldest forms of biological existence on the planet, undoubtedly have accumulated vast reservoirs of intelligence and adaptive understanding. In a very real sense they are closer to an innate apprehension of nature's many mysteries than we are — on top of which, as we have already noted, they take up, numerically speaking, more of our own physical “space” or “embodiment” than our own cells do. If we humans are to survive as a species, it is imperative that we come into a new and very different relationship with the most prolific, most ancient, and possibly the most mysterious species on the planet. Re-generating our individual bio-terrain means forming alliances, not antagonisms, with the microbial realms. Instead of an anti-biotic ideology, we must espouse a pro-biotic (pro-life) philosophy of medicine. Fewer substances more wondrous than this have ever been discovered by man. In this case, the discoverer was the little heralded French genius, Rene Quinton (1866-1925). Quinton, a free-thinking biologist, aviator, inventor and astute observer of the oceans, realized that all planetary life must have evolved from unicellular plankton, and that the original matrix in which plankton originally flourished must still persist in the composition of our interstitial, amniotic and cerebral-spinal fluids. Quinton was able to discern the existence of vast oceanic vortices, several hundred miles across at the surface. These vortices create virtual walls within which a strange and prolific scenario unfolds. At any one time, there are about seven of these giant vortices spinning in the world's sea masses. The base of the vortex attracts upward from the ocean floor a cloud of mineral nutrients. These inert minerals are powered upward by the inner propulsion of the vortex, and myriads of tiny phyto-plankton spontaneously emerge in the upper reaches of the vortex, feeding off the banquet of minerals from the ocean floor, and transforming them into organic form in their own bodies. The phyto plankton, dwelling in the upper reaches of the vortical structure, where rays of sunlight can penetrate into the watery gloom, activate the programming effects of photosynthesis to build up their own bodies. In brief, they shape-shift into physical existence as some sort of ex-nihilo plethora due to their ideal positioning between the downward penetrating shafts of sunlight, and the upward swirl of minerals from the ocean beds. These interactions are both housed and governed by the osmotic pulsations and rotations of the giant vortex. Now, once the phytoplankton have multiplied sufficiently, swarms of tiny zooplankton emerge from beneath to graze on the plump green fields above. As they feed on the thick blanket of phyto-plankton, the zooplankton secrete a post-digestive fluid which, when harvested and cold filtered, is known as Quinton Marine Plasma. This fluid has almost miraculous healing applications for humankind. The plasma secreted by the plankton consists of a cornucopia of essential nutrients including all ninety two elements of the periodic table, over seventy-five trace minerals, amino acids, antioxidants, RNA, DNA, essential fatty acids and anti-oxidants, all of these in highly bio-active form. The minerals are all in cristalloid structure, which means that they exist in a liquid crystalline formation which is an optimal delivery system for the support of organic life, whether marine, mammalian or indeed human. For what Quinton both hypothesized and discovered was that this very plasma was all but identical in structure, composition and energetic essence to that of healthy human blood plasma, or for that matter, amniotic fluid or cerebral-spinal fluid. We, who are composed of over seventy percent water are, in effect, composed of seventy percent of that water, the plasma secreted by the plankton blooms that Quinton harvested and later, in such astonishing fashion, used to cure all manner of “incurable” diseases. Quinton clinics were set up in many countries, treating hundreds of thousands of men, women and children by sub-cutaneous or IV injections of the isotonic seawater. Many of these patients were extremely sick and would have perished, but for the treatment. Astonishingly, they all recovered. Wasting disease, acute or chronic infections, even severe burns were healed with no adjunct therapy or medication. Only with the advent of large scale anti-biotic therapy and its ideological grip on western medicine did Quinton's clinics recede from the scene. The introduction of a new law in France making sterilization of medicines compulsory all but closed down the Quinton clinics. However, since then there has been a focus on determining an oral route of administration, which is the preferred, and simplest route used today. In a word, what Quinton had happened upon was the original mother fluid supportive of all life, the very “background” or “mother liquor” of our bio-terrain. Science has yet to comprehend the complexity of this substance which stretches back to the beginnings of life on earth, yet which maintains itself unchanged in symbiotic relationship with morphologically advancing cellular life-forms. Cells bathe in its restorative and guiding signalings, communicate with one another entirely through its medium, and via its encircling omnipresence within the body, reach back to a primordial time of the first oceans, and the first injection of biological life into what would become known as the green planet. The Quinton Marine Plasma has been prepared at a state of the art facility in Alicante, Spain. The plasma is cold filtered for impurities, scrupulously re-examined over a week, and never exposed to any heat, UV, or energetic sterilization process which would de-activate it. The plasma is then sealed in dual tipped glass vials, a form chosen by Quinton himself based on his researches into ancient Egyptian and Greek containers: this was the ideal form for optimizing the vitality of the plasma within. Quinton Marine Plasma, when administered as part of a holistic medical protocol, has the capacity to renew and revitalize the human bio-terrain, and thereby to bring our metabolic, immunologic and neuro-endocrine systems back into a state of balance. It is within this state of metabolic balance sustained by the compositional signaling of isotonic seawater, that our own blooms of multi-trillion resident microbes can thrive in a harmonious and mutually sustaining environment. In such a context, the virulent pleomorphic aspect has little chance to gain a foothold: for the immune system is in effect everywhere, including every resident swarm of non-noxious microbial life, and indeed in the very complex matrix of fluids in which all cells and friendly microbes are somehow held in integrative synthesis. Quinton's great Austrian contemporary, the equally brilliant and free thinking Viktor Schauberger (1885- 1958) explored the innate dynamics of water and the hydrological cycles. Through his elcudation of vortical, toroidal and cyloid-spiral dynamics, he was able to emulate river flows in his construction of dry log flumes, which enabled felled timber to be transported across large swathes of Austrian landscape by means of taised, egg shaped gulley beds positioned in such a way that they harnessed the natural momentum of valley contours (6). Neither fuel nor liquid medium was required. This was only one of many astounding applications Schauberger developed in his pursuit of free energy technology. He was so far ahead of his time that, a full century ago, he was already tapping into what today we would call the zero-point energy field. He devoted his life to the pursuit of non-contaminating, non-extractive energy resources, many of them based around his theories of implosion (7). But for our purposes here two facets of his life are of the utmost importance: first, his profound understanding of vortices and spirals; and second, his almost mystical reverence for water itself. A question arises: what would Schauberger have said to Quinton about the formative role of the ocean vortices in the creation of marine plasma, that mysterious matrix of all cellular life? The two men never met, yet the juxtaposition of their profound discoveries invites contemplation, not least in the field of energy medicine: since water – and moreover, blood – moves in double spirals through river channels, or, in the case of blood, vessel walls; since the double helix of DNA nesting within the cytoplasm mirrors this in an apparently static manner; and since bio-electric energy, or qi, is known to move in spiral forms; and since, furthermore, chakras spin energies in virtual vortical structures, there would appear to be some profound implications for the origins of these oceanic vortices that produce the plankton blooms. In a therapeutic context, when a patient is treated with bio-electrical or bio-magnetic energies, the reception of these inputs is to a great extent dependent upon the fluid nature of the person's physical body. If these bodily fluids could be enhanced through prior administration of Quinton Marine Plasma, and then a therapeutic input of vortical energies introduced into the person's biofield, it would seem we would have an extremely potent means of re-organizing and re-calibrating the bio-terrain. By themselves, input of – or into - vortically streaming energy structures through subtle energy therapies such as Vibropuncture (8), or the oral ingestion of marine plasma would have enormous re-organizing effects upon the system. If they are combined such that the fluid, interstitial medium and interflows of life force energy are synergetically coupled, bio-terrain treatment could be further enhanced in ways that have yet to be fully explored. Viktor Schauberger's goal was to save the planet from deforestation, and from exploitative industry practices that damaged our planet's water supplies, whether in the oceans or great river arteries. He put his genius to the task of exploring what today we would call free energy technologies. Had he had more support instead of being swindled out of his intellectual copyright by a group of Texas businessmen, he may have left far more of a lasting direct legacy upon today's alternative technology. Like Rene Quinton, he was far ahead of his time, a guiding light for our times rather than his own. Together, Quinton and Schauberger have opened up massive gateways for us – not merely to dream under, but to pass through into a more awakened future, a future in which mankind no longer seeks to impose his insensitive will upon the planet, but one in which we re-enter that greater intelligence that organizes and sustains all life, ourselves included, from behind the mysterious swirlings of deep vortices and murmurings of ocean water. This article is meant to inform, and is for educational purposes only. In no way is it intended to diagnose or to treat any condition or disease, nor is it intended to prescribe or to suggest to prescribe anything. It is recommended that no actions be taken independently of a consultation with a qualified medical health professional. It is strongly recommended that no-one seek to self-diagnose or to discontinue or replace any medication they may be on without full discussion with their physician.